2 . 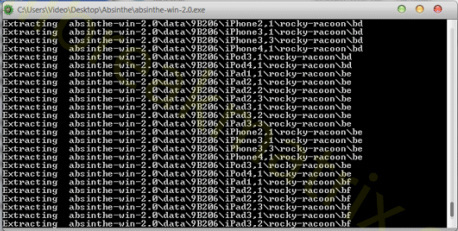 You will get a .rar file extract it and then open the application you got, the app you get is actually a self extracting app which extracts all the components of absinthe in the same directory you saved your app in. This is how it is going to extract itself. 3. 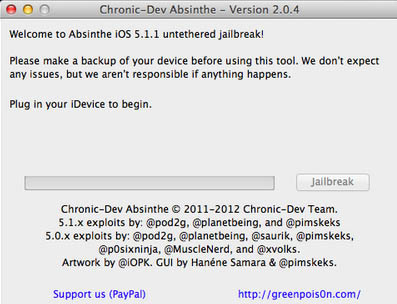 After this process you will get a folder open it and open the absinthe application it will look like this. 6. 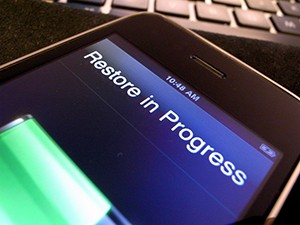 After it completes it will respring i.e. it will refresh all the data. 8. After you click on done it will show you the home screen.